Welcome guys! 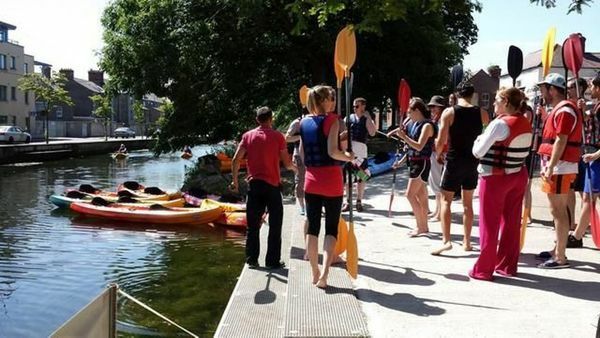 Join us to experience a kayaking trip on the Grand Canal! To book the place PLEASE TEXT ME AT 0830 575 600 via message or in WhatsApp (or here in Meetup). We have 12 places available, so please confirm you're coming by contacting me BEFORE FRIDAY (on Friday we reduce the number of places if only few people booked). Please be aware that I'm not responsible for your safety during the event and you do it at your own risk. However, you don't need to worry as top kayaks provided for this journey are very safe and stable and are used even in the sea trips. If you have any questions please ask them here or contact me at 0830 575 600 (SMS, WhatsApp), Daria.